Awarded “Best App,” Board is the interior designer’s dream software. Called “Ideal” by Interior Design, “Addictive” by ELLE DÉCOR and “Stellar” by Design Milk, Board combines your perfect product library with powerful tools and the mobility to work or present anywhere. Welcome to the future of interior design. Beautiful pens, perfect layer controls and smart rulers. Seamless access to your pins, boards and favorites. Beautiful designs, brilliant brands and addictive categories. Smart grids, stunning colors, textured backgrounds and infinite sizes. Experience products in your space to scale. 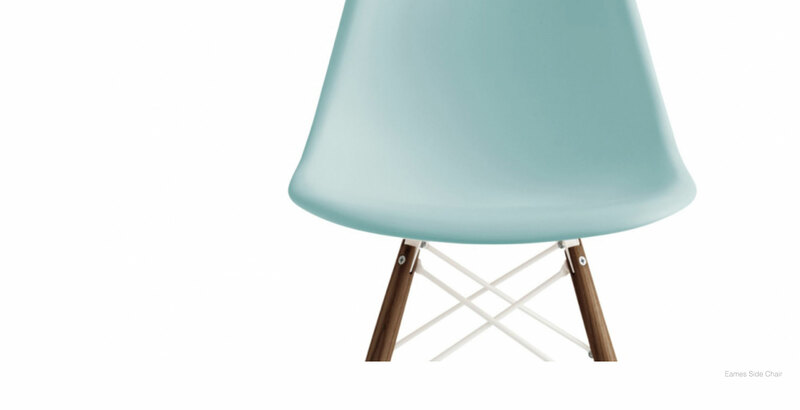 Explore furniture, palettes & more by color. 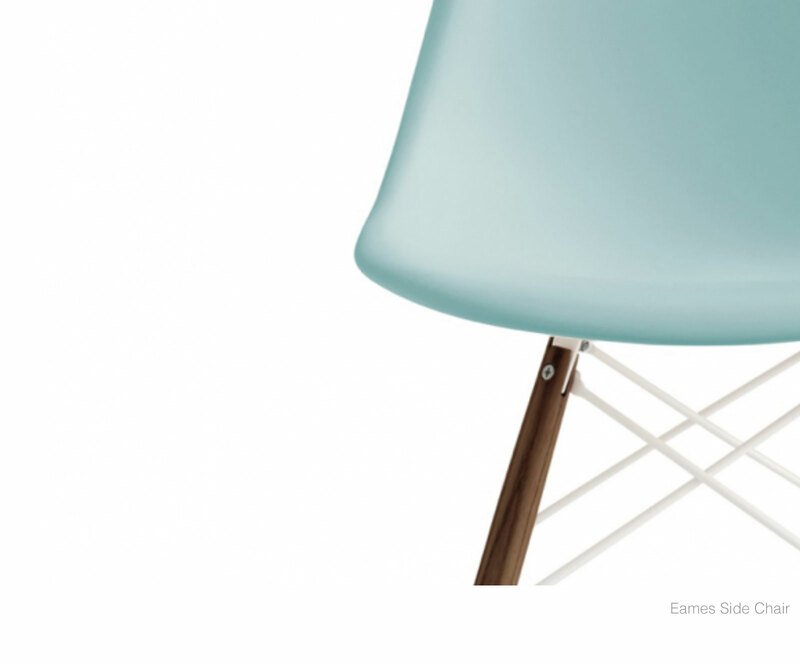 Virtually sample & explore color from the world around you. Make spreadsheets & cut sheets instantly. A new tool that lets anyone virtually sample, experience and record colors from the world around them. Not only is this a new way of experiencing color, but also a new way of allowing color to influence décor, design and sourcing. Meet Ava: the new best friend to designers of all types who want to think and work with images, while allowing precise, as well as beautiful, deliverables to be generated for them. Short for Automated Visual Assembly, Ava is the patent-pending future of interiors added into the new Board Pro. It was invented to package images and information more intelligently - optimizing beauty, clarity, and ease - and allowing designers to navigate seamlessly from process to presentation. Morpholio Board is proud to feature the following "Interior Elite" and we thank them for their amazing design, innovation and support of a creative world. Less IS better. A little restraint propels these minimalist products to Interiors greatness. One of iconic designer Dieter Rams’ most famous quotes is “Less but better,” a tenet that has inspired many to find and create beauty through selective minimalism. This thinking has never been more resonant especially as environmental consciousness must remain at the forefront of any design. Furthermore, our amped up cultural moment leaves many of us craving “Less, but better” in every way. For 2019, these remarkable designs embrace RESTRAINT, eliminating excess and culling back wilder instincts to elevate materiality, geometry, and detail. They are tactile, beautiful, efficient, and sometimes even soulful objects. They prove that by using a little restraint, the story being woven, molded, or crafted comes through clearly and with great power. Morpholio Board congratulates these diligent designers for their meaningful and provocative contribution to Interior Design reminding us all that less can be more. 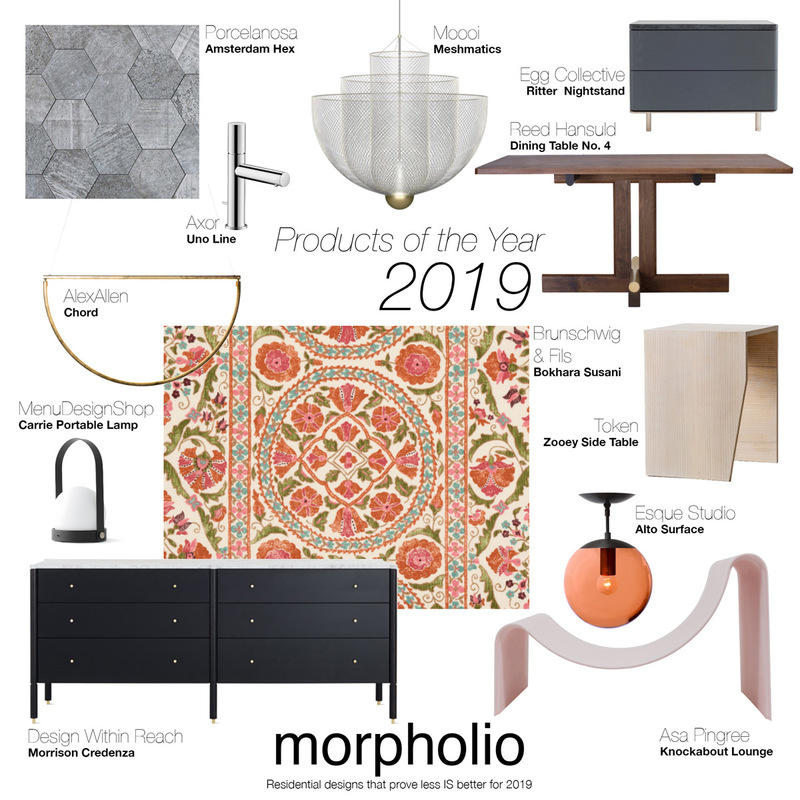 Morpholio Board looked at thousands of products to track trends amongst its growing community of professional and non-professional interior designers. Morpholio’s curatorial team, user data and influencer insights all helped to inform this selection for 2019. You can see more about all of these products in the Board App’s “Featured Products Gallery” or @MorpholioBoard on Instagram.